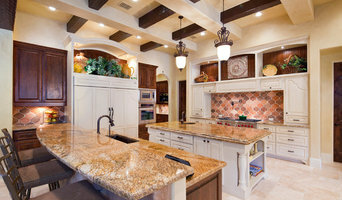 Over 30 years of custom home and remodeling experience in the Texas Hill Country. The daughter of a builder, Teresa Duffin has always prided herself on craftsmanship, artistry and perfection. Her commitment to her custom home and remodeling customers is unparalleled. With over three decades of experience, Duffin Custom Homes works to insure that your new home, renovation or addition not only reflects your taste and style, but stands the test of time. With personal attention and consideration, we emphasize communication and commitment to ensure success throughout the building process. For each project, large or small, we promise integrity, clear communication, and impeccable quality. If you are searching for a thoughtful, detail oriented and knowledgeable custom builder or remodeler, you’ve found her! We are a true family owned and operated custom builder and general contractor with over 50 years of combined experience and reputation in this industry. We start from an idea, to a design, to a completed project where we work closely with our clients to ensure you are getting exactly what you want in the most cost effective manner. We don't believe you have to sacrifice quality over cost. Some times you need to be a little creative. Caleb Phillips brings his disciplines, work ethic and attention to detail from his many years in the military where the smallest details matter. We truely build and treat your home or project as if it were our own. We also offer Consultation, management , design and purchasing to multiple clients, builders and homeowners for a variety of projects. For more than a decade, Matt Sitra has taken his passion and knowledge in home building to create some of the finest, luxury homes in the Austin real estate market. 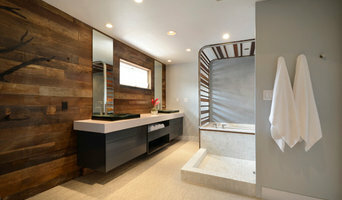 As the project manager for each custom home, Matt translates his client's wishes into stunning one-of-a kind retreats. Matt’s award-winning designs are rooted in the lessons he learned during many years of successful industry experience. After earning a bachelor’s degree in Economics with a minor in business from The University of Texas, Matt joined a production homebuilder in Austin. While there, he was the company’s top-producing superintendent for three straight years. Since 2000, Matt has completed numerous construction and custom home projects, both large and small, in the Austin area. Building a home, pool or outdoor living space that meets your unique lifestyle is what JKD Builder is all about. Our mission is to create personal living spaces that bring our clients’ vision to life through exceptional customer service and the highest quality construction. We specialize in green construction techniques and smart home features that minimize energy consumption and costs. Whether you are looking to expand your home for a growing family, are an empty-nester ready to downsize, or are looking to update your current, but aging, home — JKD Builder can bring your dream to life. We have extensive experience in a wide variety of architectural styles for your home remodel or construction project, from contemporary and Hill Country Modern, to Tuscan and traditional. And when it comes to poolscapes and outdoor living areas, our creativity, quality and reliability are next to none. Our philosophy is creating designs uniquely livable for each client, that maximize the surrounding beauty and ensure wise stewardship of our natural resources. Our high professional and ethical standards are a big reason why our clients become our friends – and our best sources of referrals. We work with some of the top designers and interior decorators in Austin – names like Elliot Johnson, Alberto Jauregui Designs Inc., and Robin Bond Interiors. Our award-winning team has the experience, the skills, the creativity and the passion to make every project award-winning caliber. Vick Pope Custom Homes, LLC. Vick Pope, President of Vick Pope Custom Homes, LLC., has over 25 years of experience building custom homes in the Austin/Dripping Springs Texas area. His firm specializes in helping clients design and build projects that reflect their style and taste with clear communication and integrity. Vick's unique approach to customer satisfaction and relentless pursuit of exceptional quality is the foundation of his company. Working side by side with his clients, he uses the highest quality materials and skilled craftsmanship to build the home of your dreams. For Bee Cave residential home builders who also act as developers, the job starts well before the first nail is driven. They perform local market research to determine whether the prospective homesites make sense in the Bee Cave, TX market, as well as survey the land on which the house will be built to make sure it is suitable for construction. Custom builders also obtain the necessary permits. 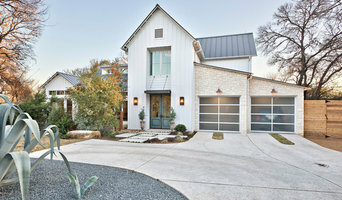 A good custom home builder in Bee Cave, TX has skills that go far beyond construction — he or she must supervise subcontractors and artisans; keep tabs on local zoning regulations, building codes and other legalities; inspect work for problems along the way; and perform dozens of other roles that are essential in building a quality house. Here are some related professionals and vendors to complement the work of home builders: Interior Designers & Decorators, Landscape Architects & Landscape Designers, Architects & Building Designers, Kitchen & Bath Designers, Specialty Contractors. House builders are responsible for ensuring that the home-building project sticks as closely as possible to the specified timetable, particularly in the event of change orders. Custom and luxury home builders in Bee Cave, TX also need interpersonal skills to deal with clients of all types, soothe frazzled nerves, negotiate conflicts and resolve problems. Find custom home builders in Bee Cave, TX on Houzz. Narrow your search in the Professionals section of the website to Bee Cave, TX home builders. You can also look through Bee Cave, TX photos to find a house you like, then contact the builder who worked on it.